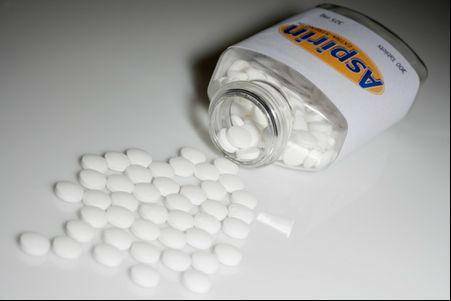 A component of aspirin can block a cell death associated with neurodegenerative diseases like Alzheimer's, Parkinson's and Huntington's disease, a new study says.Aspirin binds to an enzyme called GAPDH which is believed to play a major role in neurodegenerative diseases. "The enzyme GAPDH, long thought to function solely in glucose metabolism, is now known to participate in intra-cellular signaling," said study co-author Solomon Snyder, professor of neuroscience at Johns Hopkins University in Baltimore. "The new study establishes that GAPDH is a target for salicylate drugs related to aspirin and hence may be relevant to the therapeutic actions of such drugs," he noted. The salicylic acid is the primary breakdown product of aspirin. "A better understanding of how salicylic acid and its derivatives regulate the activities of the key protein can lead to the development of new and better salicylic acid-based treatments of a wide variety of devastating diseases," Klessig explained. "A better understanding of how salicylic acid and its derivatives regulate the activities of GAPDH and HMGB1, coupled with the discovery of much more potent synthetic and natural derivatives of salicylic acid, provide great promise for the development of new and better salicylic acid-based treatments of a wide variety of prevalent, devastating diseases," said Klessig.The study appeared in the journal PLOS ONE.